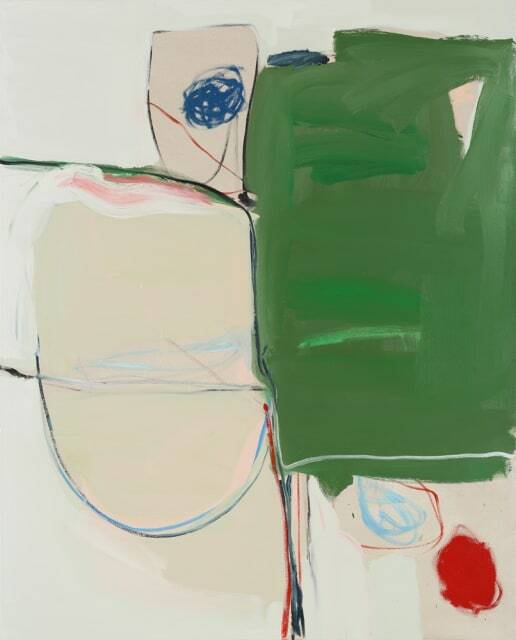 Henrietta Dubrey's bold use of line and colour to communicate space and physical connection have long captivated collectors of her work. Henrietta says: "My work is generally described as abstract although I would describe my paintings as autobiographical deconstructions and reconstructions of life, appearing on the canvas as an abstract gestural web, occasionally tangled, occasionally bold and resolved." The paintings have a clarity and confidence to their free spirited but sparse composition with a wonderful sense of directness and immediacy. Graduating from the Royal Academy Schools in 1992, Henrietta Dubrey's paintings have been exhibited nationally and internationally, including at the Royal Academy Summer exhibition, and are in notable private collections such as DeBeers and the Mogford group. She has exhibited with Sarah Wiseman Gallery since 2015 with paintings exhibited in the group shows 'Line and Surface' in 2016 and 'Identities' in 2017, an exhibition profiling the work of contemporary women artists. In September 2018, we are proud to present her first solo exhibition with Sarah Wiseman Gallery 'Genius Loci: A Painterly Response by Henrietta Dubrey to the Works of Peter Lanyon'. Conversation with Henrietta Dubrey on 'Identities' exhibition, March 2017.